The primacy of European law over national law logically places Community decision-making at the centre of the concerns of everyone: citizens, governments, but also multinational companies. This is why the European Union has become, in its restricted places of concentration of power, a reference point for “interest groups”, in other words, lobbies. A lot of information circulates about these groups, what they are, what their role is and how much influence they have in decision-making, etc., but it is sometimes difficult to really understand the very nature of their existence when so little outreach is done about them. Lobbies, as we most often talk about, come from the commercial and financial world, from the corporate world, but the influence of interest groups also concerns international activist structures, NGOs and rights organisations. Despite the abundance of black legends, the presence of these groups is completely legal and, moreover, necessary for the proper functioning of the European institutions, particularly because European officials, due to a lack of staff and the diversity of their concerns, have no choice but to delegate the expertise they need to take decisions. Besides, this presence of lobbies is also supposed to be a guarantee of the possibility for civil society to participate in the legislative process, and therefore a democratic asset. But then, would lobbies be nothing more than good servants of European democracy in the service of the common good? Unfortunately, everything is always much more complicated than theory and lobbies in the EU deserve much of its dark reputation for its many abuses. Nowadays, a clear imbalance is emerging within these influence groups in contact with European parliamentarians: only 10% come from NGOs and 20% declare themselves to represent the interests of public authorities, the remaining 70% representing the influence of private industries within the Commission. A hell of a strike force. These 70% are therefore experts who advise parliamentarians on decisions that will directly affect them, it is easy to understand where objectivity takes a hit. Moreover, the action of these lobbies remains extremely opaque and that is where the danger lies. In 2008, a register for the accreditation of influence groups acting in the Commission was created, but it is on a voluntary basis, so only 6 695 forms have been completed when we know that in Brussels alone more than 30 000 lobbyists are jostled on the 4 square kilometres of the European Quarter. There is therefore no binding regulation to encourage lobbies to declare their action, its frequency and the budget allocated to it. Nor are parliamentarians obliged to declare the groups and individuals they meet with as a means of influencing them, even though some of them testify to a real daily pressure in the professional, social and geographical interplay that is, at its level, the city of Brussels. Indeed, civil servants, lobbyists and journalists share a very similar socialisation and lifestyle. They send their children to the same schools, have dinner together, go to the same places, etc. From this professional inter-knowledge emerged a solidarity within a political system with the same patterns of perception. Real resources are born from this network and from belonging to the elite. For example, it is impossible to have a precise figure on the actual number of lobbyists because the borders have become blurred between former parliamentarians who end up being hired by lobbies, despite restrictions, and lobbyists who colonise the groups of experts consulted by the European administration. This porosity between the two worlds obviously raises the question of the impartiality of European decisions and conflicts of interest. 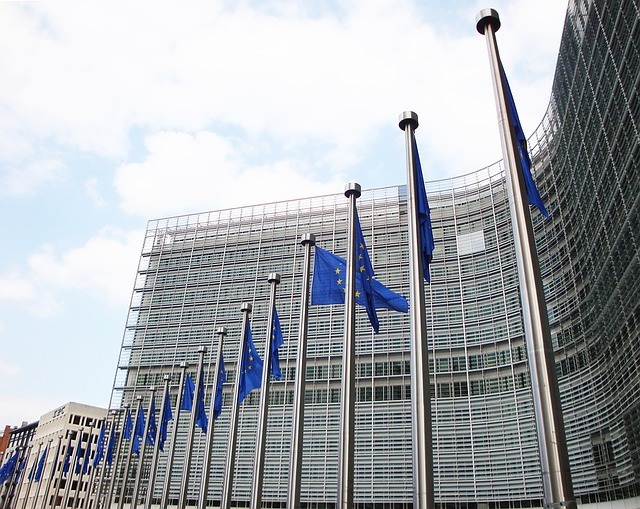 Thanks to the work of NGOs and associations, this deviation of the lobbies system in the EU has been highlighted and denounced, and proposals for a tightening of the framework for taking up office and transparency have been studied. The solutions envisaged include making it mandatory for all interest groups to sign the accreditation register, thus revealing the nature of their action and the dedicated budget. Another task would also be to regulate more strictly the professional and more informal relations that European officials can have with representatives of the private industrial sphere. However, the majority of the influential groups have no interest in greater transparency, so it is legitimate to doubt that they will influence the decision in this direction, drawing a certain vicious circle where the very recipient of the laws can guide them. Previous post Exercise Trident Juncture 2018: a provocation to Russia?